Shankar sir called me for the role of Shriya's dad in Rajinikanth starrer Sivaji. Popular debate moderator, star speaker and actor Dindugal Leoni, who was on a long hiatus from films, is back with a bang. 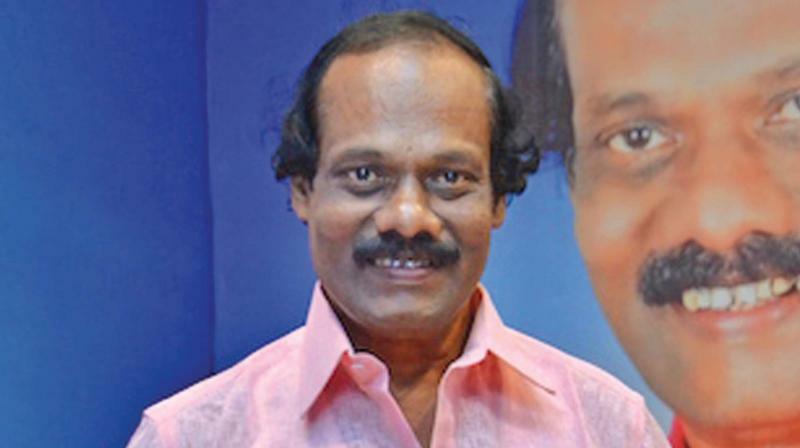 Speaking at the launch of his new book on humour —Nagaichuvai Kudhirayil En Sindhanai Payanam, a collection of his hilarious speeches, Leoni said, “I started my humour speech at a temple in Vatthalakundu in 1992. And till today I have conducted 5,000 debates abroad too. Then cinema offers started coming. Shankar sir called me for the role of Shriya's dad in Rajinikanth starrer Sivaji. But, I couldn't accept then and later ‘Pattimandram’ Raja performed. I played the father of Vadivelu and Arun Vijay in the film Ganga Gowri, and my comic performance was received well. I recently met Vadivelu sir and he wanted me to act alongside him in a film. Now, Seenu Ramasamy sir has also given an offer. I am planning to make a comeback in films and continue my journey in politics as well as in Tamil cinema.